With last week's E3 silence on the PSN, the store has hit back with some solid new releases and an amazing 'Big In Japan' sale. I seriously don't think I've typed up this many game titles anymore. In new release land, Final Fantasy XIV: Heavensward is promising to add another big chunk of story, new classes and gameplay access to the already huge world of Final Fantasy XIV, making it an ideal time to try XIV if you haven't already. On top of this is the incredible Big In Japan sale, including some truly great games such as Persona 4 Golden, Danganronpa, most of the Final Fantasy series and a good chunk of the Tales series, along with plenty more. There's honestly just too many games to mention. 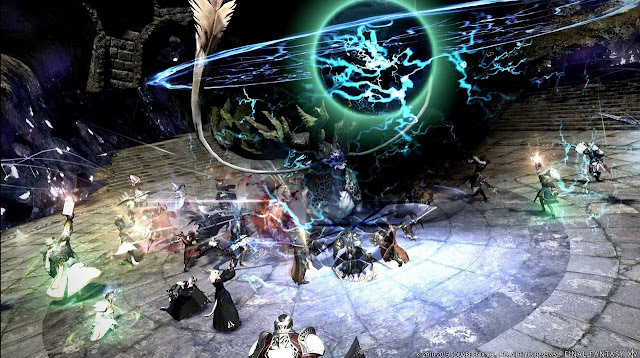 Pick of the week: Heavensward and pretty much anything from the Big In Japan sale. It's a freaking good sale.